Mary Enzman-Hines is a holistic nurse practitioner at Integrative Pediatric Health Care in Englewood, Colorado where she is part of a team that offers a holistic approach to promoting and managing the health of children from in and around Denver. Services provided at the practice include a wide variety of services for children ranging from treatments for physical conditions including asthma, minor injuries, and disease prevention and management such as vaccines, to well-child visits, homeopathy, mom’s groups, and second opinion services. 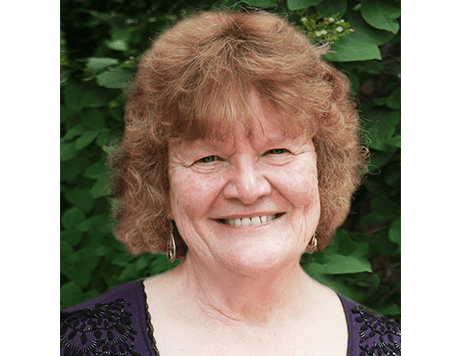 She is a Colorado native and has been a Certified Pediatric Nurse Practitioner/Pediatric Clinical Nurse Specialist for 32 years, Certified Advanced Practice Holistic Nurse for 20 years, and is Professor Emeritus at the University of Colorado at Colorado Springs. In 2015, Dr. Enzman-Hines was the recipient of American Holistic Nurse of the Year Award. Before her roles as an advanced practitioner, she served in a variety of roles as a staff nurse and nurse manager in the neonatal and pediatric intensive care and inpatient settings. Dr. Enzman-Hines has devoted her nursing experience to pediatric nursing, caring for children from birth to 21 years of age. Dr. Enzman-Hines is a Reiki Master and Therapeutic Touch Practitioner. Her leadership in nursing includes being a past president of the American Holistic Nurses Association (AHNA), a member of AHNA’s Research and Education Committees and Task Force Chair for Advanced Holistic Practice for AHNCC. Additionally, she is active in the International Association of Human Caring, the Society of Rogerian Scholars, the National Association of Pediatric Nurse and Associate Practitioners (NAPNAP), the American Association of Nurse Practitioners (AANP), the American Holistic Nurses Association (AHNA), the Sigma Theta Tau International (STTI), and the Society of Pediatric Nursing (SPN). She is published primarily in the areas of caring, healing, pediatric pain, pediatric asthma, pediatric chronic conditions, and hermeneutic photography. Dr. Enzman-Hines has received many honors and recognitions both as a practitioner and educator. Dr. Enzman-Hines is the mother of two children and grandmother to one. She enjoys spending time with family, writing, travel, photography, and spoiling her very busy granddaughter. Both patient and practitioner work together throughout the healing process. All aspects which affect health, wellness and illness are taken into account including mind, body, spirit, and community. All healing sciences which can facilitate the body’s inherent healing response are used. Effective treatments which are natural and less invasive will be used whenever conceivable. Good medicine is based on science, inquiry driven, and open to new ideas. Health Advancement and the prevention of disease and sickness are of the utmost importance. Customized care is the best way to address the individual’s personal conditions, needs, and situations. Understanding the unique needs of each person will ensure that the cause of the problem is determined and treated effectively. Many clinics are booked out for weeks or months. We offer same day sick appointments! Here is a list of insurances we accept. We do not accept Kaiser or Denver Health Medicaid or some plans that were purchased on the health exchange website. Each plan has unique benefits, so we encourage you to contact your insurance to ask if we are in-network. Please have your card at the time of service; co-pays are expected at time of visit. If we are not in-network, if you are not insured, or your insurance is inactive, payment is due at the time of service. We can coordinate payment plans when needed.